We’d like to say a huge thank you to this group of incredibly warm-hearted people who dedicate substantial amounts of time and money to help with the running of our Programme. 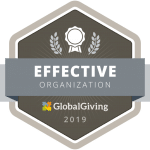 Their gifts help us to cover Helping Hands running costs, to address urgent and unforeseen challenges, and to continue expanding our programme to help even more children in Prasat Char. Some have been involved in Helping Hands since the very early days, and others are relatively new members of our family, but all have played a significant role in developing and growing the school and the community. We are eternally grateful for all that they have done, and continue to do, in helping us to run and develop Helping Hands. Read on to find out more about some of our inspirational Champions. Aline is a long-term supporter of Helping Hands, having been involved with the community since the very beginning. 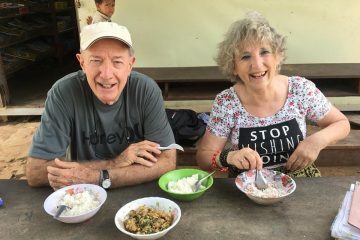 Aline volunteers and fundraises for us every single year, and has seen more than most of us in terms of the growth and development of Helping Hands. Brian is another of Helping Hands long term supporters, having been involved with the project since 2006. Over the years he has donated a substantial amount of time and money into Helping Hands and last year played a big part in enabling the build of our new Kitchen. "Being Involved in the Helping Hands project has been a high point in my life for twelve years. I have been privileged to witness the difference HHC has made to the lives of the Prasat Char Community. A love of learning in a fun and healthy environment has been imparted to the students from when Deb Groves established the school back in 2006. Twelve years on we now see graduates from the school pursuing further education and job opportunities that previous generations in the village could never dream of. Deb Groves, used to say, when she first set out to assist people, that she could not change the world, but maybe make a difference for a few. When I think back now of the many who have benefited from what Deb started, that is the biggest highlight of all for me." "I got obsessed with buying things I thought the kids would like and to this day I find it hard to pass by things." Harley first volunteered in Siem Reap in January 2017, and loved her time so much that she vowed to return. She set about working in her local community to tirelessly fundraise for a couple of NGO's in Siem Reap (including Helping Hands). On her return, she not only brought substantial monetary donations, but also donated lots of arts and craft materials, and even some flip flops for the students. Harley also spent time at the school where she ran fun and creative Christmas crafts workshops, and did a fabulous job of organising our supplies! 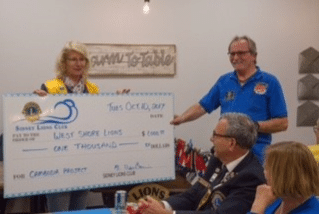 "This is a photo of the donation presentation from one of the Lions clubs in our area. As you can see they were happy to participate and I was quite shocked by their generosity." Harley used a 'Go Fund Me' page and even sold a number of her own belongings to add to the funds raised through the Lions Clubs, bringing over $6500 with her in total - incredible! "I also bought approximately $450 in craft supplies out of my own money. I got obsessed with buying things I thought the kids would like and to this day I find it hard to pass by things." Sally has been a regular volunteer since her first visit in 2014, and has also been an incredible support to our fundraising efforts. Not only does Sally make regular donations herself, but she also fundraises throughout the year. On her most recent visit in October 2018, Sally raised enough funds to be able to treat our graduating class and all our staff to a wonderful evening out, including dinner and an incredible trip to see the Phare Circus - a real treat and unique experience for everyone! "We couldn't get over how happy the kids seemed to be even though they lived with hardly any material things." Brett and Sarah, have a strong family connection to Helping Hands, via Brett's sister Deborah Groves - the founder of Helping Hands. They wanted to help, and so arranged a visit to see the work Deborah had been doing, and to see what they could do to support both her, and the community. 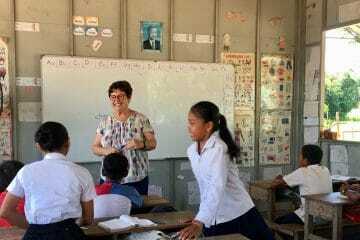 "When we visited the village of Prasat Char, we met the locals, and helped the children at school with their hygiene class, we also read to the kids and played a few games with them as well. We couldn't get over how happy the kids seemed to be even though they lived with hardly any material things. We met with a student we were sponsoring at university at the time, she was very quiet but it was great to see her in person! Since then we have also been helping out Lyheang who has gone on to do his masters at university. We've enjoyed sponsoring these deserving kids and have gained a rare insight into their lives, through their letters to us. We hope that in some small way we've enabled these young adults to learn skills and get a degree that should help not only their futures, but support their families as well." If you would like us to feature you on our Champions page, or if you'd like details of our current fund raising needs, or how to become a Helping Hands Champion, please contact us. A huge thank you to everyone who makes monthly donations to Helping Hands, helping us to cover our ongoing running costs such as rent and teachers’ salaries. Your continued support really helps us in our quest to achieve financial security and sustainability! Find out how to become a part of the Helping Hands family by making a monthly donation. Thank you also to everyone who has made a donation over the years. Your support is very much appreciated. As well as helping by providing us with an extra pair of hands, their time, and their ideas, individuals who come to volunteer at Helping Hands also make a monetary donation to the project, and our work would not be possible without them! Thank you to all of our past, present, and future volunteers! Find out how to become a Helping Hands volunteer.